We are delighted to inform you as one of the 100 lucky winners of the result of the E-mail address ballot lottery draw of the SOUTH AFRICA WORLD CUP FREE LOTTERY programme,which took place on the 27JULY 2006.This is a computer generated lottery of Internet users using email addresses for draws. using their e-mail addresses from different World Wide Web(www)sites. 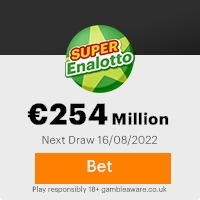 Your e-mail address attached to ticket number: 275-189-657-23-05 with Serial number 8756-05 drew the lucky numbers and bonus ball num ber which subsequently won you the lottery in the 2nd category. The world cup lottery 2010 is proudly sponsored by the Microsoft Corporation,Coca Cola,Nokia,MTN,the Intel Group, Toyota ,Toshiba, Dell computers, Mckintosh .And mostly by the South African Government.The world cup free lottery draw is held once a year.And is so organized to encourage the use of internet and computers.And also to advertise the South Africa 2010 World Cup world wide. We are proud to say that over US $ 100 Million are won annually in more than 150 countries world wide. For security reasons, you are advised to keep your winning information confidential till your claim is processed and your money remitted to you in whatever manner you deem fit to claim your prize.This is part of our precautionary measure to avoid double claiming and unwarranted abuse of this program.Please be warned. Simply contact your claims agent, ALEX STEVEN. at email: alex_steven_zza@yahoo.co.uk . TEL +27-76-120-3994 Fill this form below and send it to him to file for your claim . LAST WINNERS ON THE NATIONAL LOTTERY ONLINE GAME. Previous: congratuletionFresh ScamsNext: Confirm Receipt (Chels ... fer). This Email with the Subject "Congratuletion" was received in one of Scamdex's honeypot email accounts on Tue, 29 May 2007 07:22:13 -0700 and has been classified as a Generic Scam Email. The sender shows as alex steven <alexsteven_a@hotmail.com>, although that address was probably spoofed. We recommend that you do not attempt to contact any persons or organizations referenced in this email, as you may expose yourself to scammers and, at the very least, you will be added to their email address lists for spam purposes.